Every day we utilize our sales skills in order to advance our company and our customer's businesses. We often take for granted the importance these same skills have in their ability to advance our own organziation. According to Russell Sachs, Vice President of sales for Work Market, there are five sales skills that are important in order to implement continuous learning relating to any order to improve your performance and enhance opportunities at work, try your hand at honing these in the spirit of working towards elevated job performance. "Most people do not listen with the intent to understand; they listen with the intent to reply"
Listen First. When we often think about people we like to be around, we realize it may be because the are exceptional listeners. It's incredibly valuable to take the time to listen. When we don't listen, we could lose the opportunity to create a solution that is appropriate to the desired outcome. We are constantly in a state within the profession of sales of working to learn how to better communicate with our customers, in order to learn how to best listen to identify needs and subsequently find solutions to those needs. Once we demonstrate that we have a solution to their need, we are golden. However, many of us don't consider how incredibly important sales skills are internally as well. Whether we are selling an idea to our manager, invite others to review a new initiative you may be proposing or even sitting down to take part in a career development meeting, all of these involve important sales skills that we may be overlooking. Verbal communication involves both speaking and listening. In a business organization, listening is key to effective working relationships among employees and between management and staff. Listening skills also impact a company’s interaction with customers and other businesses. To improve your listening skills, give the other person your full attention and always maintain eye contact. When they are done speaking, rephrase their remarks and ask whether you understand them correctly. Continue to ask questions to gain a better understanding of their statements. Listening is one of the most important skills you can have. How well you listen has a major impact on your job performance and on the quality of your relationship with others. Build your network. As salespeople, we are constantly searching for ways to build our networks. It's important to always continue to grow your circle of influence before you need to rely on them to help you accomplish a goal. Build a network of influencers who are not only good at what they do and are respected within the profession, but that you genuinuely like to spend time with, who you trust, whose advice you respect. When people hear “Networking” most immediately think of attending external activities; Chamber events, membership meetings or community fundraisers. Rarely do we consider the importance of internal networking with those inside our own organization. Yet, every employee within your organization has their own network of relationships simply waiting to be discovered. Whether you work with a small company or large corporation, invest the time to get to know your fellow collegues because everyone possesses key relationships. Be proactive and sincere in learning about your collegues and don't forget to connect the dots on how your relationships could help them and where their contacts could help you. Additoinally, begin building your internal network at all levels with both your peers and superiors. Be diligent. We are tenacious achievers within the sales profession. We love a challenge and will rise to it at every opportunity we get. Thus, keeping up with prospects is invaluable. This skill is particularly useful no matter your career choice. We can either just get by in what we do every day, or you can always defer to take it a level up. Diligence is the earnest, conscientious application of our energy to accomplish what we’ve undertaken. When we are diligent, we pay attention to detail and are dedicated to achieving measurable results. Diligence means that we are continually working toward our goals, making use of what resources and opportunities are available. We are vigilant to avoid errors and to stay focused on the task at hand. Our diligence provides a basis for people trusting us with jobs that are tricky or complicated and also important to them. Diligence does not rely on talent, but employs commitment, industry, and perseverance to transform vision into reality. "Your brand is what people say about you when you're not in the room. "-Jeff Bezos, Founder of Amazon. Build and maintain your personal brand. When it comes right down to it, we don't have much more than our reputations when it comes to getting ahead. People want to buy from those the respect, who are trustworthy. Customers need to have a certain level of trust with us in order to close any sale. Whether you’re on the job hunt, a student, or gainfully employed, you must think, act, and plan like a business leader. With the impact of social media, you have not only the ability, but you now have the need to manage your own reputation through personal branding. "Working smarter is the key to sustainability and continous improvement. The accelerating rate of change forces everyone in every organization to make a choice: learn while you work or become obsolete." We always have a choice to listen. To be diligent. To learn. To build our reputations on solid choices and decisions. 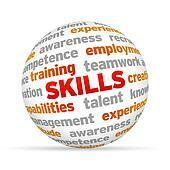 These skills are built every day and what we do and today effects the course of our success for the future. The last skill involves putting all these individual skills in place and practice in order to advance your career within your organization. Without combining all of these elements in your professional life, you'll be leaving a great opportunity on the table.